I digress though. I’ve been able to finish my second kit from Queenbeads. 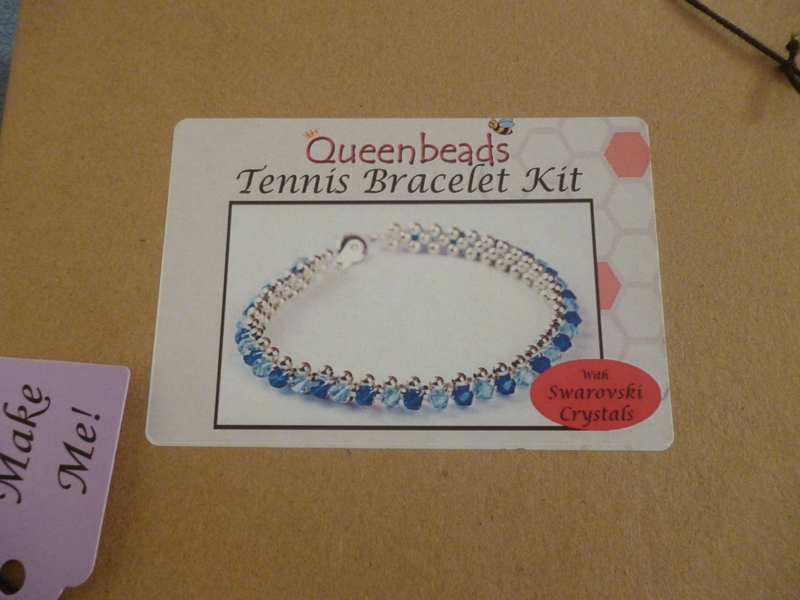 This is the “tennis bracelet” kit. 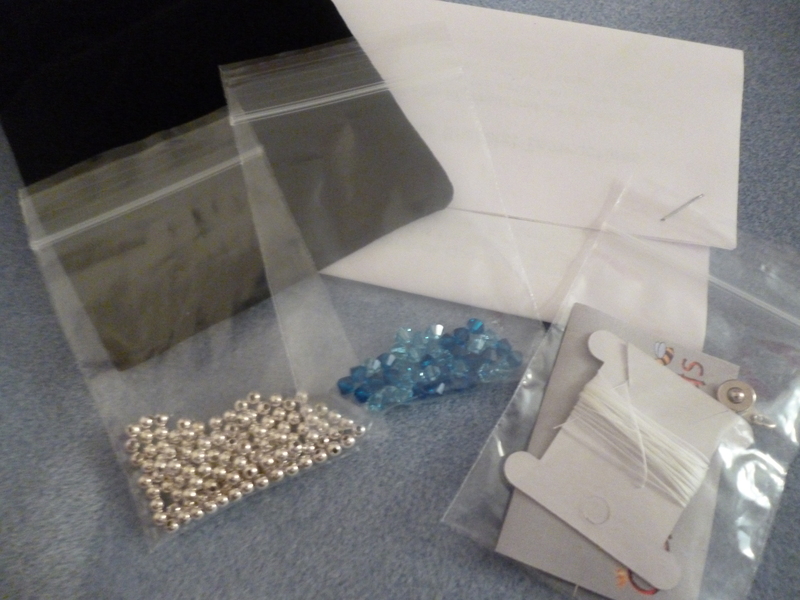 The contents are: Swarovski crystals in two colours, silver ball beads, silver ball clasp, a black jewellery bag, thread and needles, and instructions. Anyone with basic beading skills should be able to pick up the steps easily. 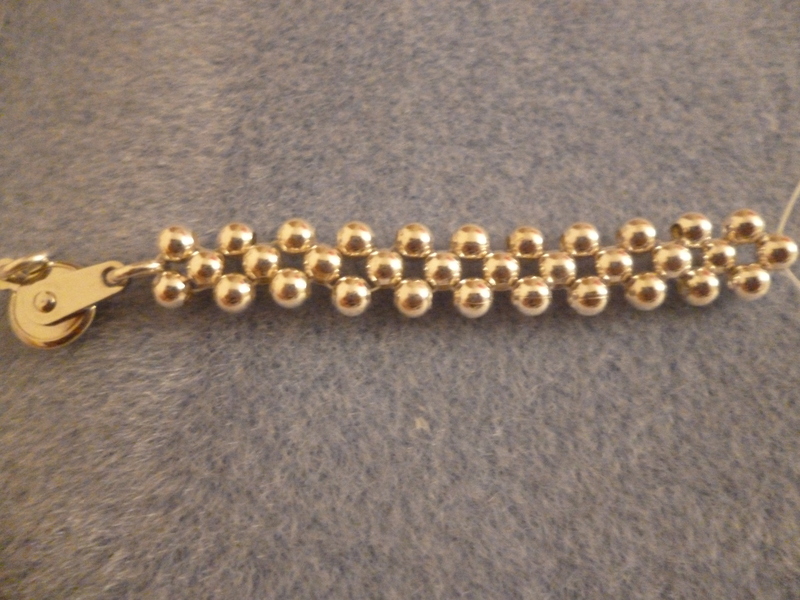 You have to criss-cross the silver beads to form a length long enough for your wrist. When you reach the desired length, you then want to add the Swarovski beads diagonally on top of the silver beads, alternating which colour you use. 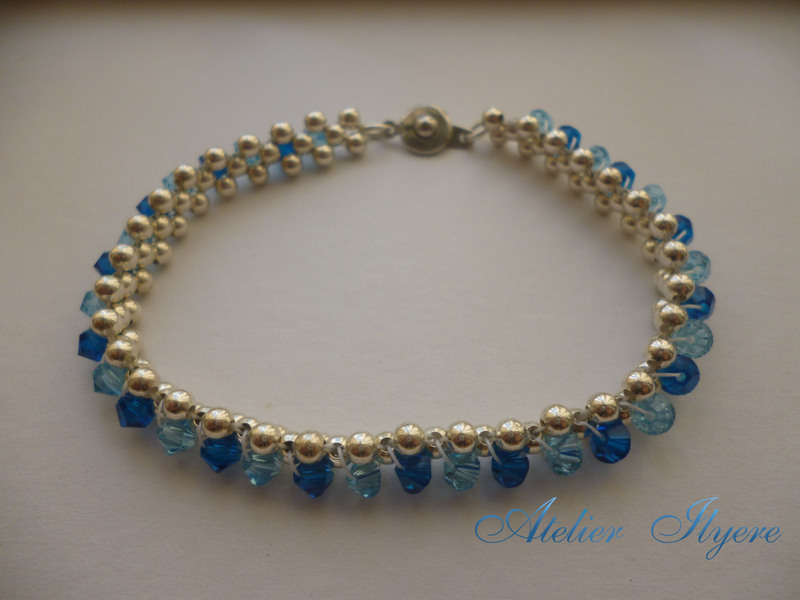 The result is a simple but elegant bracelet. I would highly recommend Queenbeads kits for those wanting to learn to bead. The third kit I have is supposedly the most difficult kit they sell… But I don’t plan on making that next, because I can now access all of my tools and materials! I should note that I’ve watermarked this not to claim ownership of this design and kit, but just to show that this image came from this website. 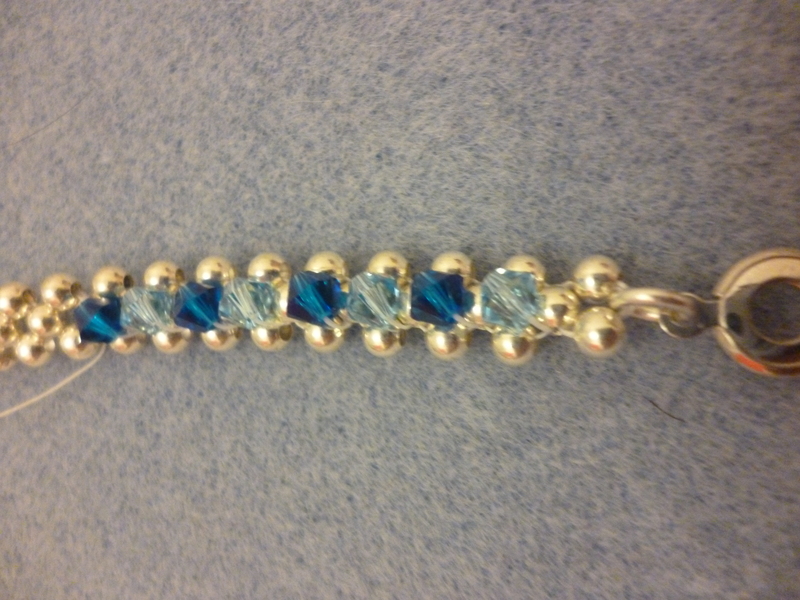 This entry was posted in Beads, Bracelets, Craft kit, Jewellery, Swarovski, Thread, Tutorial and tagged Blue, Bracelet, Jewellery, Kit, Queenbeads, Silver, Swarovski, Tutorial. Bookmark the permalink.